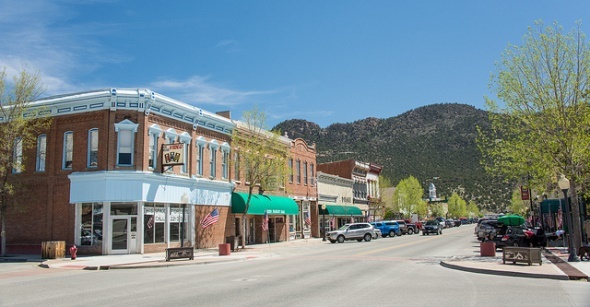 Buena Vista is a small town near the Continental Divide that’s best known as a jumping-off point for whitewater rafting on the Arkansas River, hikes up 14,000-foot peaks and soaks in natural hot springs. Sometimes, visitors do all three. Buena Vista, Spanish for “good view,” is 2 1/2 hours from Denver in central Colorado. Outfitters offering guided raft trips on the Arkansas River call it the nation’s top spot for whitewater rafting, with 90,000 sun- and water-soaked visitors each year who get to brag about surviving rapids with names like Canyon Doors, Pinball, Zoom Flume, Egg Beater, Widowmaker, Raft Ripper and Graveyard. The river runs through granite-lined Browns Canyon, site of the nation’s new Browns Canyon National Monument. Half-day raft trips are most popular, but trips lasting two or three days are available. Eight of Colorado’s 14,000-foot peaks are in the Collegiate Peaks along the Continental Divide just west of Buena Vista. The best-known of these “fourteeners” are Mount Harvard, Mount Yale and Mount Princeton, named for the Ivy League universities. The mountains are in the Collegiate Peak Wilderness and are buried in snow for most of the year. Hiking is best in July, August and September. There are dozens of trails ranging from easy to strenuous and from day hikes to week-long journeys. The Arkansas Valley between Buena Vista and Salida features a handful of hot springs that are open to the public. Naturally warmed waters from deep in the Earth are pushed to the surface through geologic faults. They were first discovered in 1779 by the Spanish explorer Juan Bautista de Anza. Land area: 3.4 square miles. Altitude: 7,965 feet above sea level.